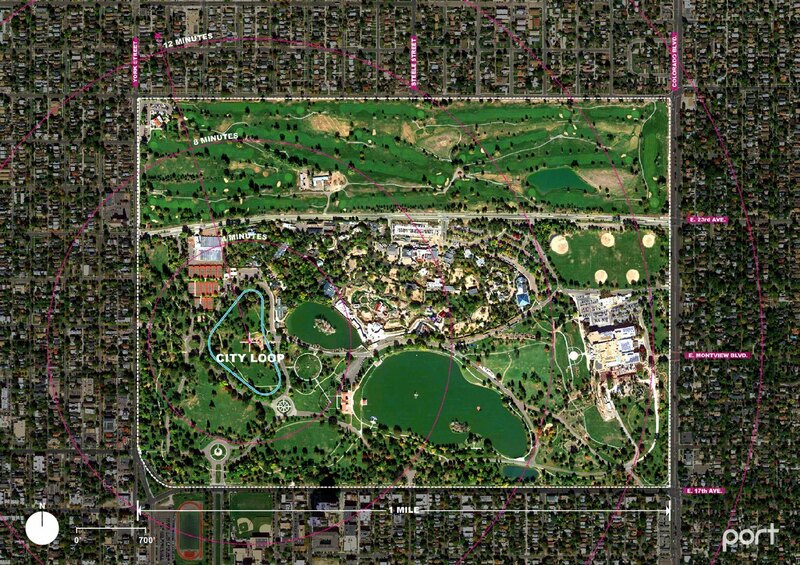 Project Team: PORT, Independent Architecture, Latitude 39, Studio NYL, JunoWorks, Loren Landow, and Site Masters Inc.
City Loop is a new intergenerational recreational landscape within Denver’s City Park. 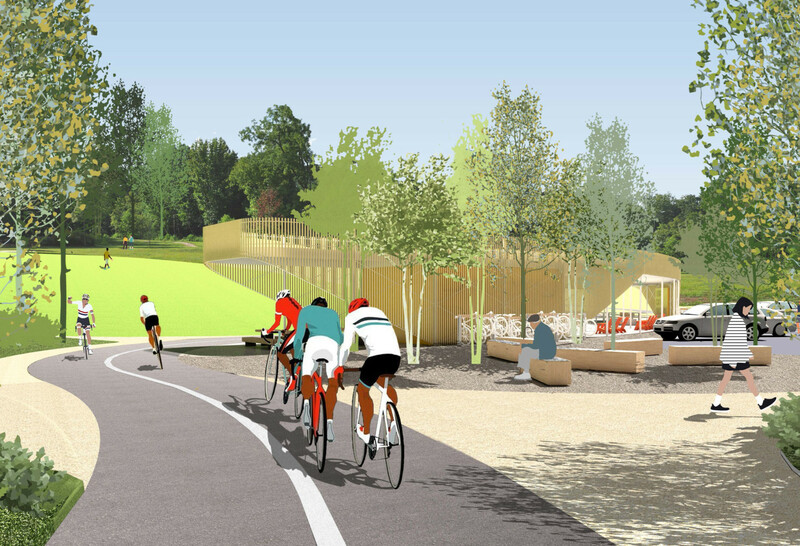 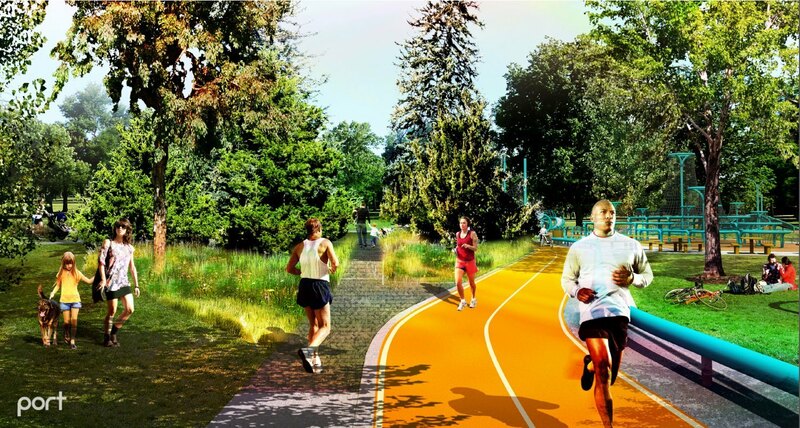 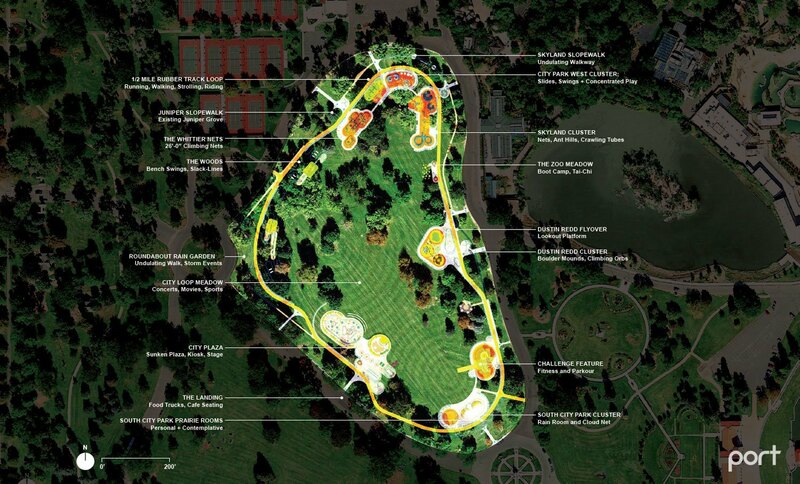 The design is based upon a distributed half-mile, fully accessible mobility loop (ideal for walking, running, rolling, riding) that creates a continuously re-definable circuit of engagement and activity. 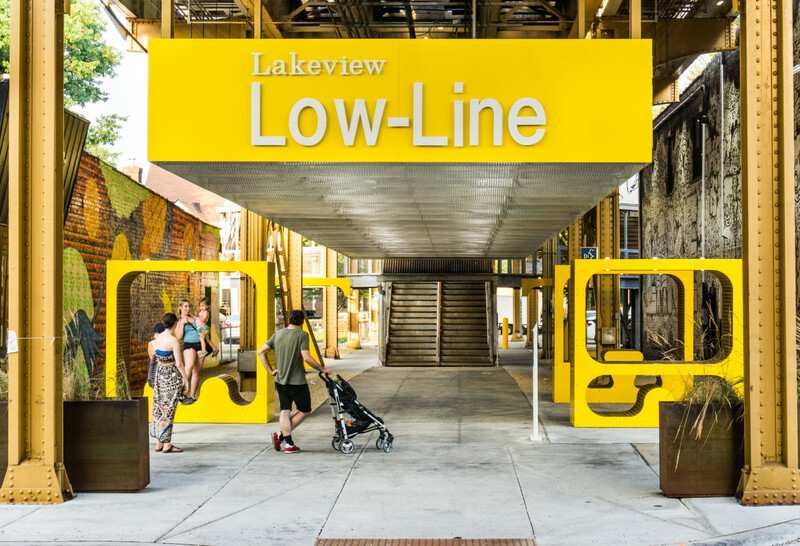 The vibrantly colored surface of the Mobility Loop is paralleled by a kinetic tube that bends, folds, inflates and twists into a variety of activity pods. 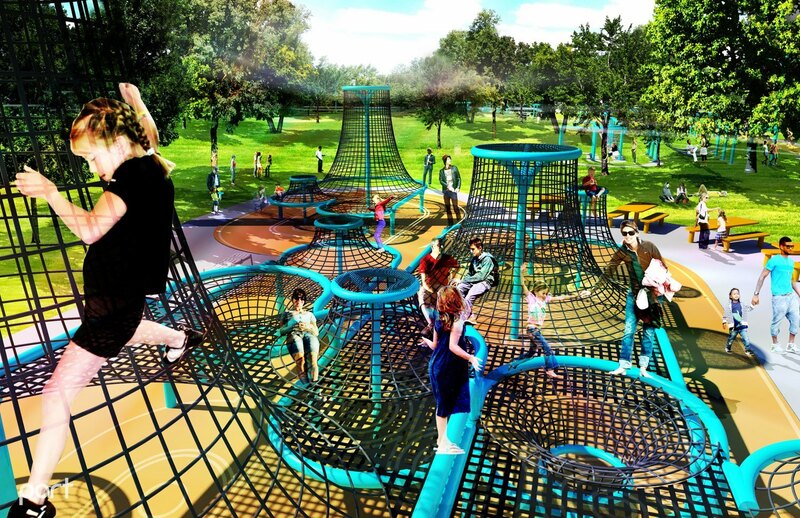 Each pod creates a distinct micro-environment for various types of play and social interaction. 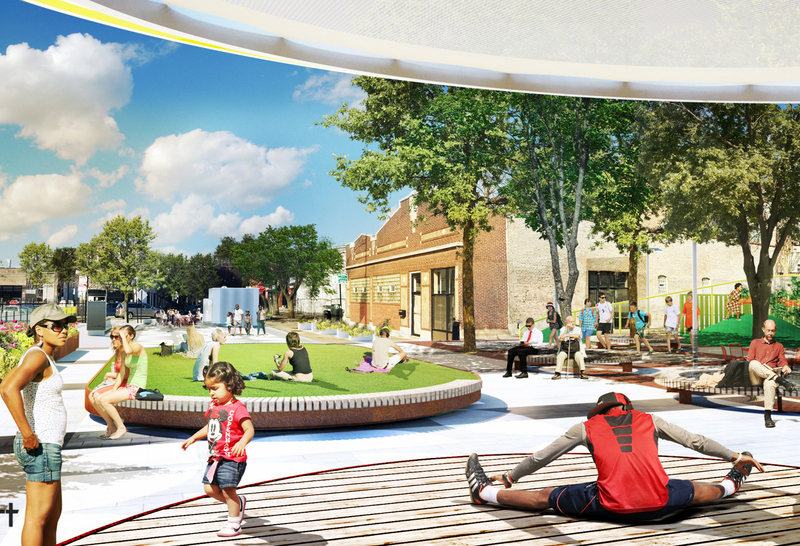 The Loop also serves to frame a large, 8-acre central lawn that allows for the kinetic activities of the Loop perimeter to extend to the center of the site. 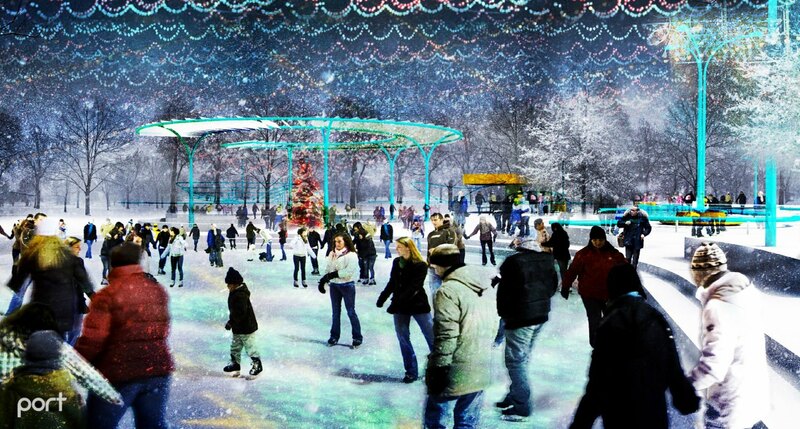 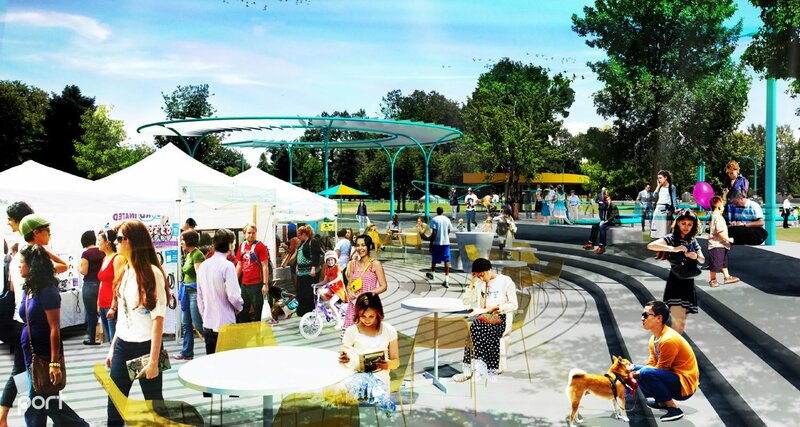 The project promotes public health on many levels — physical, social, cultural — while serving to enhance the physical beauty of the existing park. 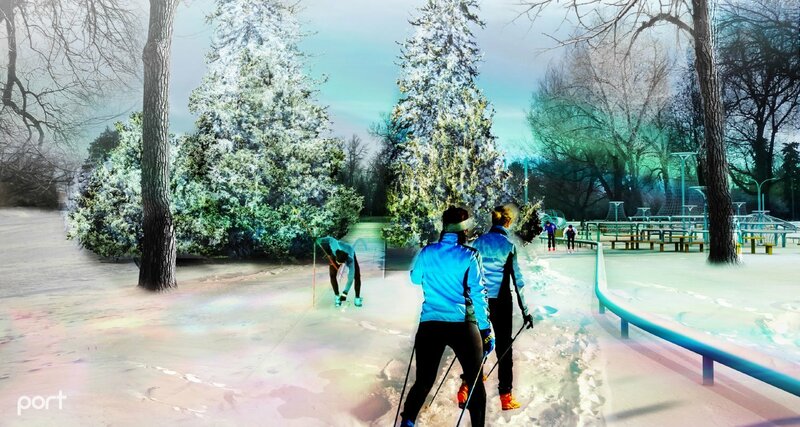 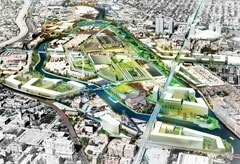 The varied, flexible and diverse nature of the City Loop proposal offers a 21st century view of what a public landscape can be and strives to establish a new precedent in contemporary civic amenities for the City of Denver.